Leave a comment on THIS post by 6 p.m. CT Tuesday, June 9, 2015 to be entered in the DRAWING for a copy of the book below. If you mention in your comment that you’re a follower (see in the left sidebar “Join This Site” and “Follow by Email”), I'll add your name a second time in the drawing. U.S. mailing address required to receive a paper book. Read book giveaway details at Disclaimers. To provide you security, please leave your email address like this: johnATyahooDOTcom. Winner announced in next Thursday's blog. author of Christian contemporary romance, romantic suspense, and women’s fiction with 57 contracted novels and four million books sold. 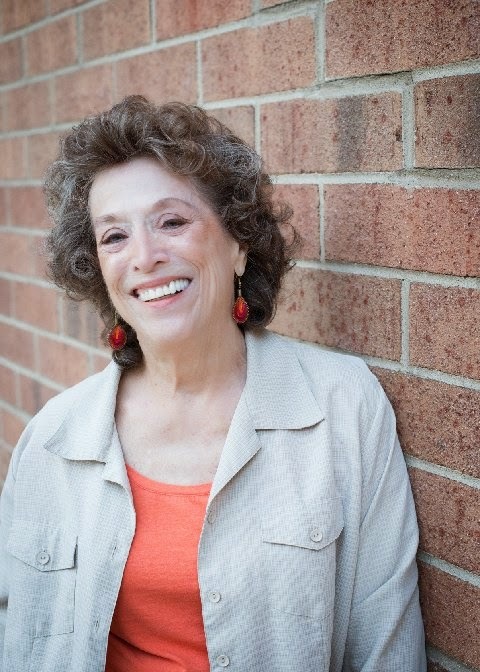 CBS local news listed Gail as one of the four best writers in the Detroit area. She is a cofounder of American Christian Fiction Writers and serves on the Executive Board, a member of Advanced Speakers and Writers and Christian Authors Network. Gail is a keynote speaker at churches, civic and business organizations and enjoys presenting workshops at conferences across the U.S. She is a lifetime resident of Michigan. If you could have dinner with one person from today or history (except Jesus) who would it be? My mom often reminisced about her childhood and incidents in her past, and over time, I reminded her I’d heard the story before, if she continued, I listened with one ear. Now I wish I could spend another day with my mom and ask her a multitude of questions and re-hear those funny and sometimes poignant stories of her life. We don’t always appreciate things until they are gone. Many Bible verses touch me with their truth and God’s amazing gift to His children, but one that has meant a great deal to me as a writer is this. This verse reminds Christian writers that what we write ministers and changes readers as the stories, like modern parables, brings characters to life who have the same kinds of issues and problems, joys and sorrows of the reader. I hear this over and over in my reader mail and I praise the Lord He has allowed me to write for Him. What 2 or 3 fun or unique things can you tell us about yourself? The first thing that comes to mind is my tap dancing lessons. I had a friend who was a beautiful ballet dancer and she also took tap, and I wanted to be like her. I had the wisdom to know I’d never be a ballet dancer but tap might be something I could do. Every year the dancers performed at the State Fair, and I faced my first performance on stage with a large audience. I was petrified and when the dance began, tapping to the old song, Varsity Drag, I was fine, but somewhere in the dance, I mixed up two parts of the routine and reversed the steps and did a section backward. I leaped into other dancers rather than leaping in the direction they had. Red faced, I realized perhaps tap dancing wasn’t for me. Another surprising moment was when I was named and then crowned the queen of our new city, Madison Heights. I won a bond, took part in a city parade and joined the King to open the dancing at a big park event. I’m not a beauty queen by any means. The king and queen were based on a number of criteria and somehow I was the Queen of Madison Heights, Michigan. And finally something unique about me is I’ve been in every state in the United States, all fifty, and most of the states weren’t just a drive though but also staying there and spending time. The state where I spent the least amount of time is Delaware. Where is your favorite vacation spot? Once again I can’t name one favorite place but I’ll try to be brief. In Michigan, my home state, I love amazing, back-in-time Mackinac Island. Take A Look And in another state, Sedona, Arizona where we spend three winter months. Don't miss this video. But out of the country my favorite travel vacation is Europe. I’ve visited and stayed in so many of the countries including: England, Scotland, Wales and Ireland, Germany, Austria, Switzerland, Lichtenstein, Netherlands, Belgium, France, Luxemburg, Italy, Greece, and the Greek Islands, Mykonos, Santorini, Patmos, Crete, and Rhodes. Each country has a charm of its own, and I go back to some of them when I can. Please tell us a little about your novel, A Mother To Love. Owosso, Michigan. Readers will get to know a number of the neighbors and their goings-on, some wise, some nosy, some struggling and some happy and falling in love. Each novel will revolve around a character or two who live on the neighborly small town street. Book 1: Angie Bursten wants to find love without her family's matchmaking, and coworker Rick Jameson comes to the rescue as her pretend boyfriend. Angie spends time with Rick and his adorable daughter, Carly, and what began as a hoax soon feels all too real. Betrayed by the woman he'd once married, Rick is slow to trust. but when Angie helps him with gaining full custody of his child, is he still pretending.? Do Rick and Angie have a real shot at happily-ever-after? What takeaway value do you want your readers to have?The story leaves readers with the realization that we have little power on our own, and instead of living with fear and worry, trust in God’s promises and keep their faith strong. With God all things are possible. I can be found everywhere in social media. Where can readers purchase A Mother To Love? 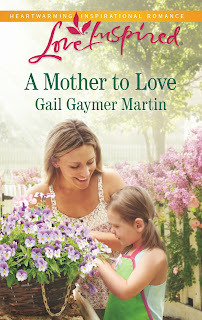 A Mother To Love is published by Love Inspired and they are sold in most bookstores, at Kmart, Wal-Mart, Target, Meijer’s, among other grocery stores and bookstores online. I am active on social media, but readers can also find personal photos and news, appearances, new books, sites with free book drawings, recipes from Gail’s Kitchen and a devotional in my Bi-Monthly Newsletter. The subscription box is located in the right sidebar on my website. Novelists love to meet readers who share their posts and book information, leave comments at online bookstores and promote authors’ books. If you have been moved to support a specific novelist, what about the books or the author inspires you to do so? The winner of last Thursday’s blog post for a copy of Cowgirls Don't Cry by Debra Lynn Collins is Trixi. I’ll email you. Thanks all for commenting. Watch for more book giveaways. Sonja, thanks for coming by and leaving your comment. Sonja - I love the reason you follow a writer. The greatest gift we can receive is to learn that our stories not only entertained but touched you with something more than story. That's why I write and means far more to me than the number of books I've written. It's home many lives my books have touched. If I discover a new author that I enjoy, I will.tell other people and my favorite authors are always promoted! Vera, I follow you by email. Connie, thanks for stopping by and commenting. Promotion is a real gift to an author, Connie. Thank you from all the authors you enjoy and promote. Connie, thanks so much following my blog! I'm a fellow resident of Michigan, and Gail and I share the same favorite Michigan resort spot, Mackinac Island. Over the past 3 years of reviewing books I've come to look for authors who provide depth and good story development. If an author's books consistently keep my attention I will follow them, many times joining their street teams. My second goal in reviewing is to bring to light Michigan authors. I have discovered some excellent authors right here in the state of Michigan, and I'm happy to promote them. Awareness is a mighty tool in bringing attention to authors who may not otherwise get the attention that others have achieved. I think it's our responsibility as readers/reviewers to help our neighbors! Congratulations to Gail on her newest release! Nancee, thanks for stopping by and leaving your comment. Nancee -- You're one of my wonderful promoters and I appreciate it so much. Thanks for enjoying my books and especially those set in the state we both love -- the beautiful state of Michigan. Congrats, Gail on 57 contracted novels and 4 million books sold, wow! That's a wonderful acheivement. God has given you a wonderful talent and it's refreshing to know you are using what He gave you! Also, I'm almost envious of your extensive traveling not only to all 50 States but some countries too! My husband & I want to be able to travel (at least in the States) in the near future. There's so much to see and do and we want to experience as much of it as we can! 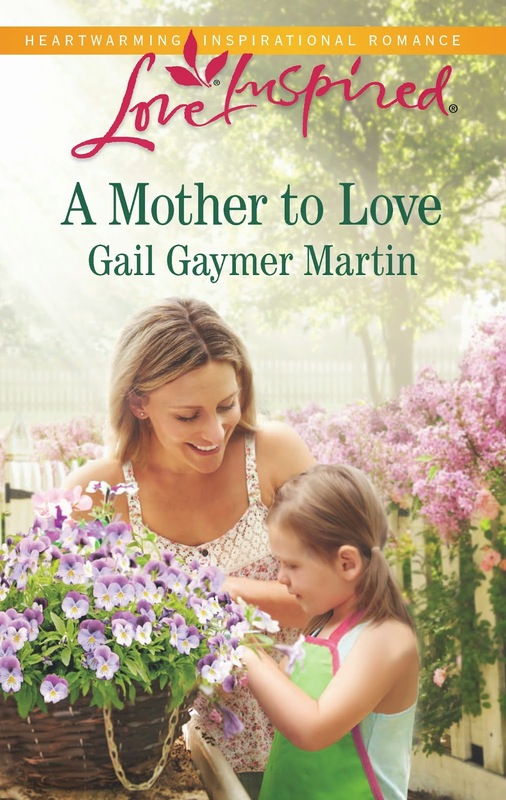 Your book "A Mother to Love" sounds like a wonderful story! One I would add to my to-read list for sure. Thank you for the chance to win a copy for myself and for sharing a bit about yourself. It's nice to get to know you! Trixi, thanks for coming by and leaving your comment. Thanks, Trixi -- and don't be envious. It was a lot of work and truly sacrifice. Giving that much time to writing means giving up a lot of others things I enjoy -- like a great deal of my social life. I also gave up house work. :-) Needless to say that was not a sacrifice. I have contacted several authors when their books have especially meaningful to me. They have been so gracious and happy when I have done this. I never realized how much it means to an author to have support from their readers. Now when I read a book and it has a lot of meaning to me, I always contact the author. rubynreba, so glad you visited and left your comment. I've sent notes to favorite authors who touch my heart and spirit with their wonderful stories. I also never try to miss when they have a new book coming out, leave reviews and just mention them to whoever is looking for awesome books. Merry, As I said to Ruby, reader mail is a gift to the author. I am so touched by what I read -- the enjoyment of the story, the way it made a difference for each reader and how they share their joys and heartbreaks with me. Perhaps being from a counseling background, I am particularly interested in know my readers. Thank you for your gift to novelists. Your letters mean so much. Merry, glad you came by and left your comment. Karen, thanks for reading and leaving your comment. So glad you enjoy the LIs, Karen. Readers are what makes our books have meaning. If I read a book and it blesses, uplifts, or encourages me I have to share it with someone. If the book is one you cannot put down. Anonymous, thanks for stopping by and leaving your comment. Anonymous - Authors love to hear that. It's the purpose that I right my books. I want to make a difference for readers -- touch them in some meaningful way. Naturally I hope it is also entertainment. Jenny, you are a blessing to me. I'm uplifted when I hear someone enjoys the books for a good story and also for the deeper part of the book - something that touches them and makes a difference. Ann, thanks for commenting. You've encouraged me in my writing with comments you've sent my way. They mean a lot. Thanks again. Ann, Thank you so much. Goodness that Raleigh trip was a long time ago - so you have been a faithful follower for years. We saw the Raleigh Ringers that year when we were there. We see them as often as we can when they travel here or some place easy to reach. They're one of the finest handbell groups in the U.S. and they are funny as well as amazing. Blessings to you, Ann. I am always happy to promote authors on my social media sites. like twitter,facebook and pinterest. I also recommend authors to others face to face. I am always happy to write reviews on some of the books I read to encourage others to read them. I love to try new to me authors. This looks like a sweetheart of a book that I would love to read. Deanne, thanks for leaving your comment. We writers appreciate you and others who spread the word about books they enjoy. Deanna, Wonderful promotion for your favorite authors. We appreciate that kind of reader more than you can imagine. It's word of mouth that brings new people to our books. I look for people like you to be influencers. Many blessings.